2 Bdrm Top flr Flat. Hall. Lounge. Dining kitch. 2 Bdrms. Bathrm (CT band - C). Parking. Price over £135,000 Entry by arr. Viewing contact solicitors. (EPC band - D). 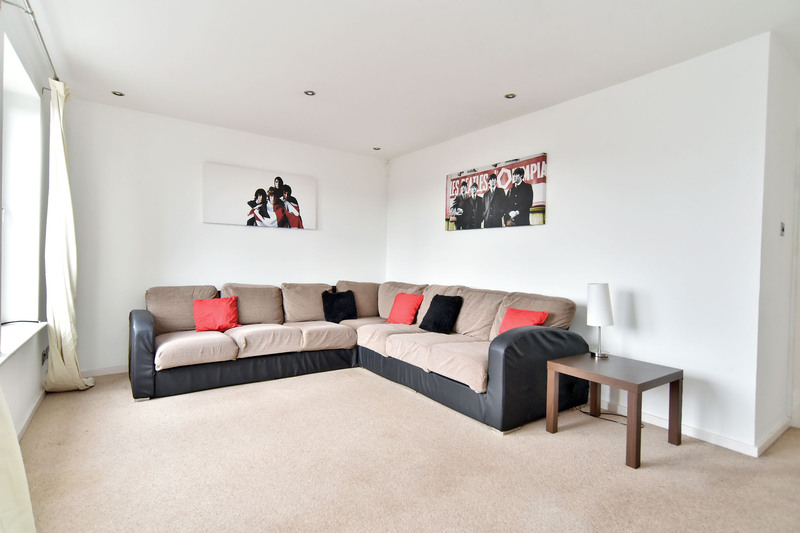 We are pleased to offer for sale this TWO BEDROOM TOP FLOOR APARTMENT forming part of a modern development. 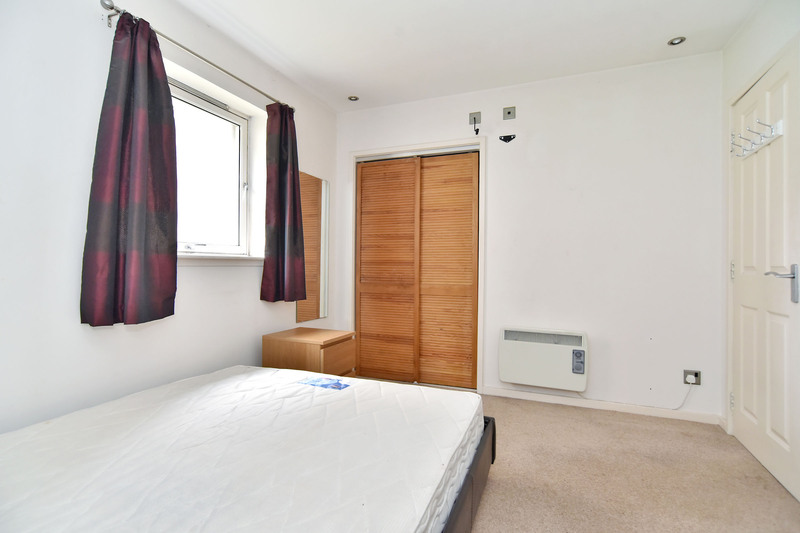 This generously proportioned property is located only a few minutes’ walk from both the city centre and the Beach boulevard which offers an extensive range of amenities. 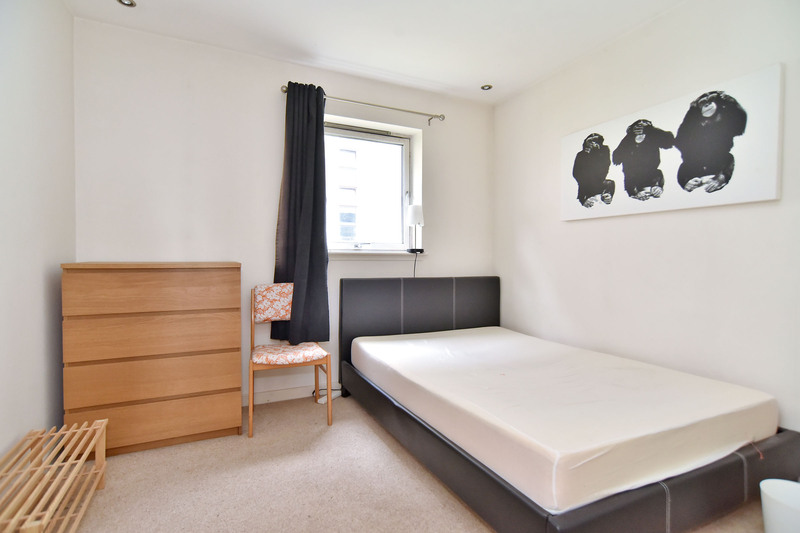 Benefitting from electric heating, double glazing and security entry system, the well-presented accommodation comprises of a hallway, spacious lounge, dining kitchen, two double bedrooms both with built-in wardrobes providing ample storage facilities and bathroom. Outside there is a factoring arrangement in place in respect of the maintenance and repair of common parts of the development, for which a regular factoring charge is payable. A resident's car park is located to the front of the development. Al light fitments, floor covering, curtains, blinds, automatic washing machine, under unit fridge and freezer are included in the sale price. 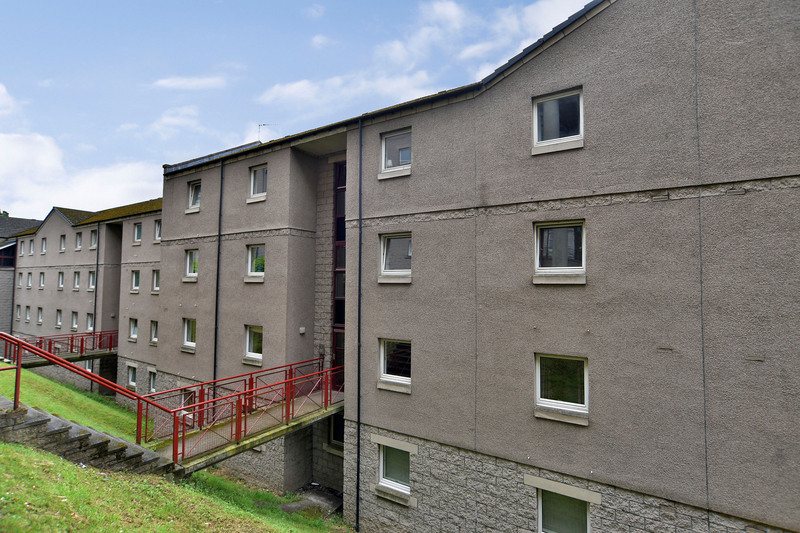 The property provides an ideal starter home or a buy to let investment opportunity and early viewing of this spacious apartment is highly recommended. Virginia Street offers easy access to most parts of the City, with Union Street and the new Union Square retail development only a few minutes’ walk away. The beach boulevard, which boasts many recreational facilities including a cinema and leisure centre, is also close at hand. There are a wide variety of restaurants close by with regular public transport readily available to and from various parts of the city. 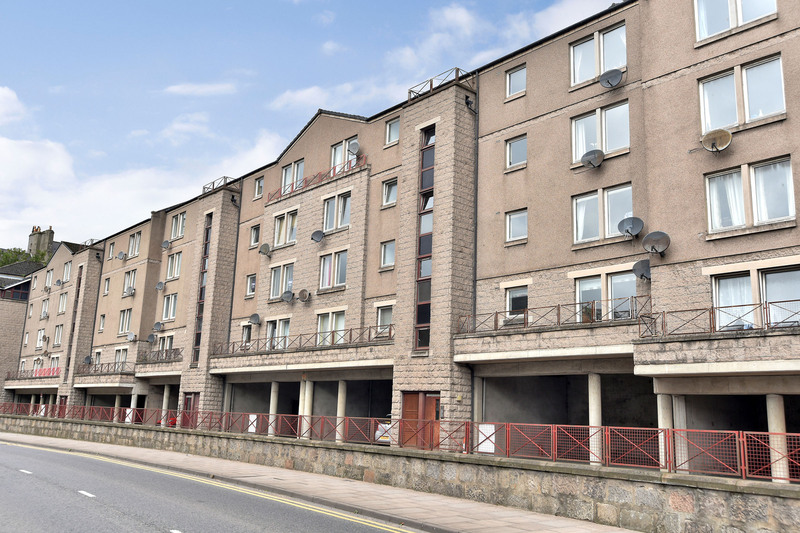 The apartment is also well placed for Aberdeen University and those working to the south of the city within Altens and Tullos industrial estates. 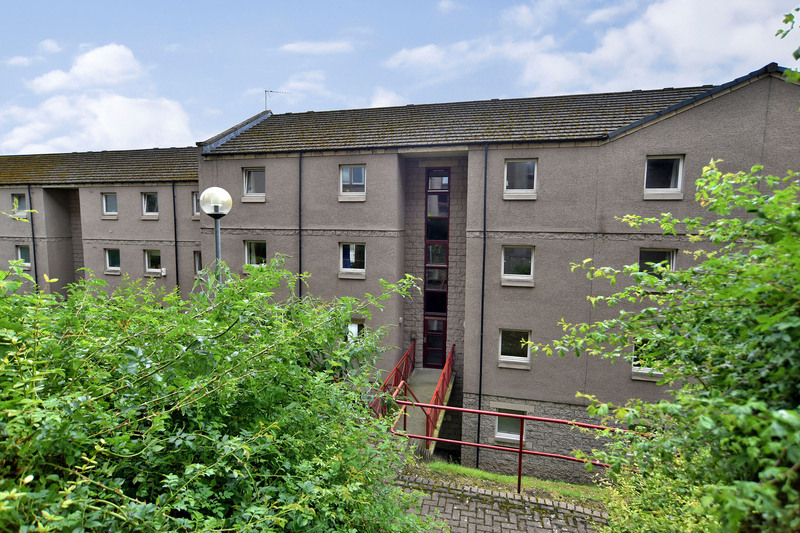 Entrance Hall: The well maintained communal entrance is accessed via a security entry system. Hallway: Entered via a hardwood exterior door with security spy hole. Wall mounted handset for security entry system. Discrete down lighting. Wooden laminate flooring. Built-in cupboard houses the water tank and provides excellent storage. Lounge: 4.72m x 3.42m (15’.5” x 11’.2”) Approx. 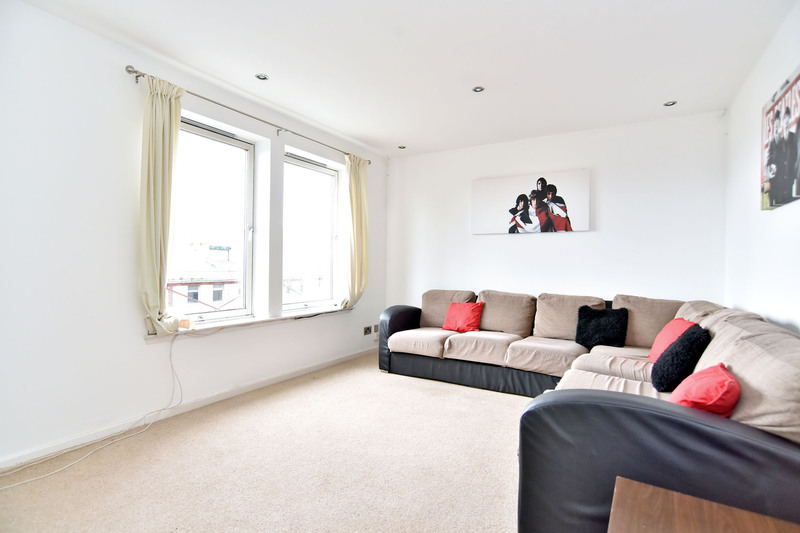 Located to the front of the property two large windows provide excellent natural light into this bright and airy room. Television and telephone points. Discrete down lighting. Curtains. Carpet. Dining kitchen: 4.20m x 2.41m (13’.9” x 7’.11”) Approx. 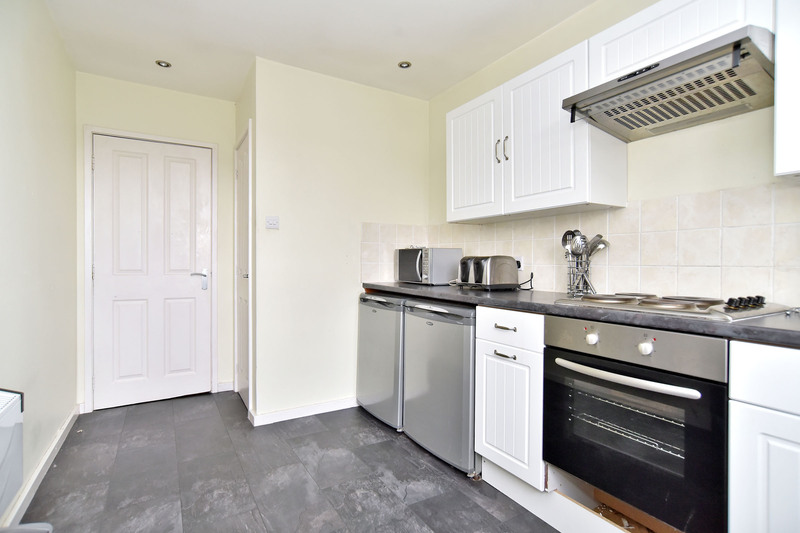 A well-proportioned dining kitchen located to the front of the property. Ample wall mounted and base units with roll top work surfaces and tiled splash back. Stainless steel sink and drainer with chrome mixer tap. Integral electric oven with electric hob and extractor hob above. 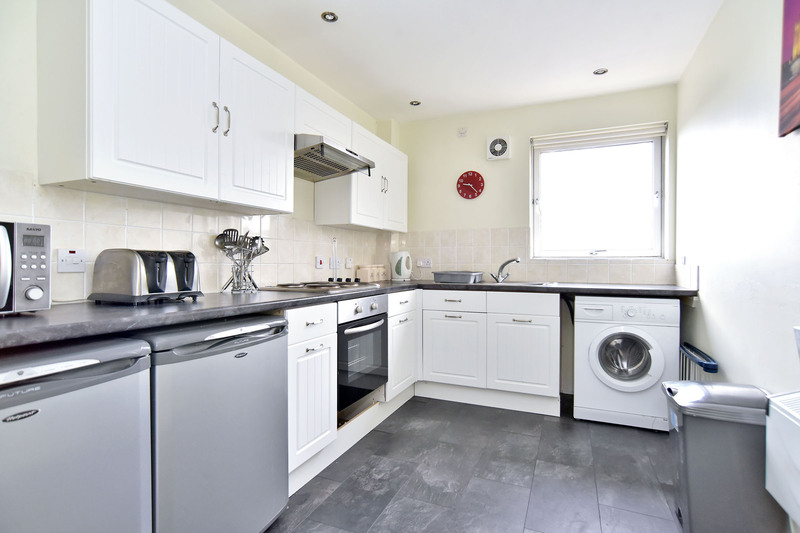 Plumbed in automatic washing machine, under unit fridge and freezer are included in the sale price. Extractor fan. Laminate flooring. Discrete down lighting. Roller blind. Ample room for kitchen table and chairs. Built-in cupboard houses the electric meter and provides further excellent storage. Bedroom 1: 3.43m x 2.90m (11’.3” x 9’.6”) Approx. 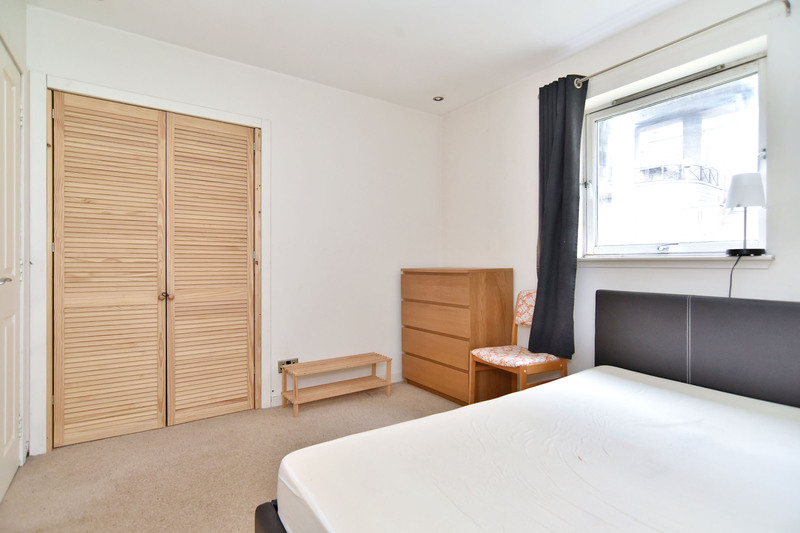 A generous sized double bedroom located to the rear of the property. Built-in wardrobe with louvre doors provides excellent hanging and shelved storage. Curtains. Carpet. Bedroom 2: 3.05m x 2.90m (10’.00” x 9’.6”) Approx. 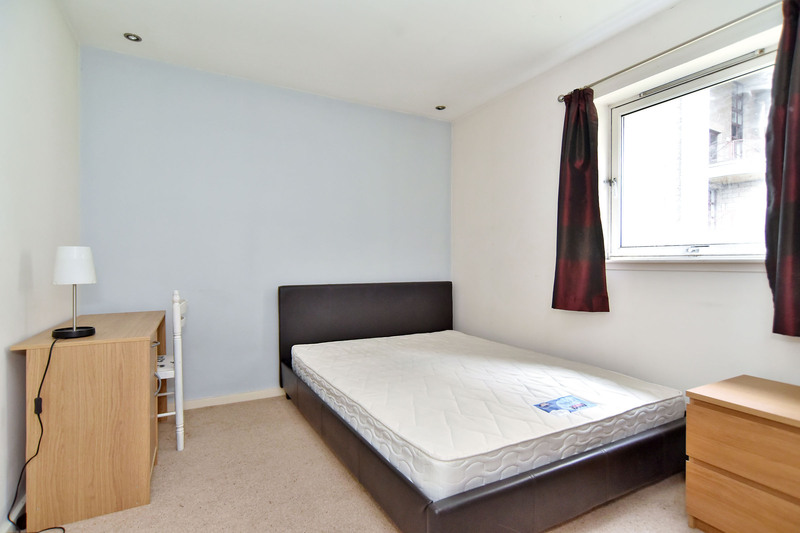 A further spacious double bedroom located to the rear of the property. Double built-in wardrobe provides ample hanging and shelved storage. Curtains. Carpet. 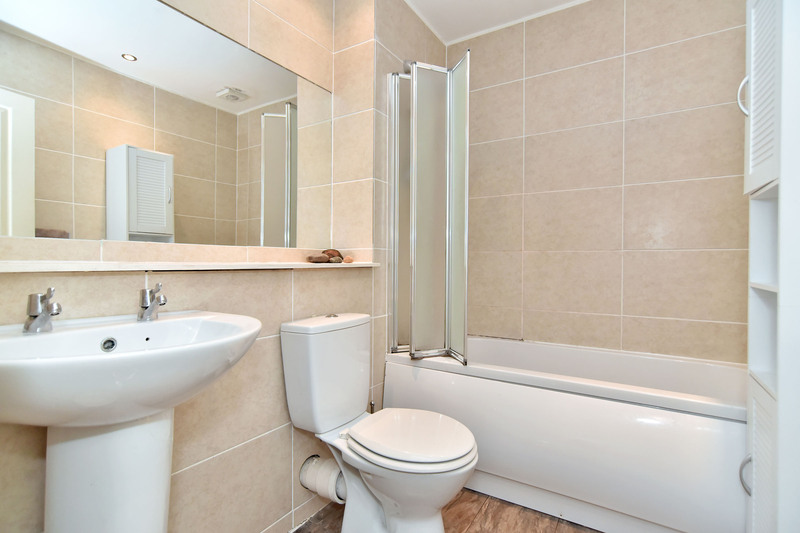 Bathroom: 1.94m x 2.22m (6’.4” X 7’.3”) Approx. A fully tiled bathroom featuring a white three piece suite comprising of W.C., wash hand sink with pedestal and bath with electric shower over. Shower screen. Shaver point. Electric ladder style heater. Feature mirror with display shelf. Laminate flooring. Extractor fan. Discrete down lighting. Outside: Outside there is a factoring arrangement in place in respect of the maintenance and repair of common parts of the development, for which a regular factoring charge is payable. A resident's car park is located to the front of the development. Directions: Travelling from the City Centre proceed east along Union Street continuing to the Castlegate. If you are going on foot walk across the Castlegate, take a right onto Castle Terrace then turn left. At the end of Castle Terrace there are stairs leading down to the Development. Alternatively, you can travel east along Union Street, continue onto Market Street, at the traffic lights turn left onto Trinity Quay and continue onto Virginia Street. The Development is situated on the left hand side.